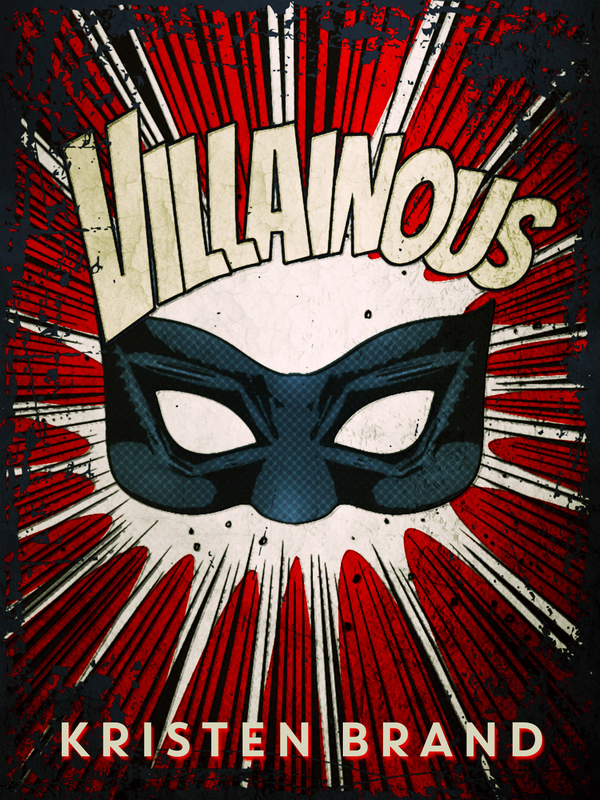 Villainous has broken into the top 100 in Amazon’s superhero category. (It’s hanging out at #56 at the time of this writing.) Thank you everybody for helping it get there! And the super cool Amberly Smith has an interview with me up on her website here. We talk about Hero Status, comic books, and sharks with laser vision! Check it out if you like any of those things. Valentina Belmonte isn’t evil anymore—honest. She’s hung up her supervillain costume, retired to Florida with her family, and hasn’t committed a crime in years. (Well, not a felony. What’s a misdemeanor here and there if you don’t get caught?) Val’s practically a model citizen these days; this time, it’s her goody-two-shoes former superhero of a husband who’s in trouble with the law. He saved her life two months ago—and committed a spectacular amount of property damage and assault along the way. The feds won’t press charges…as long as Val does something for them in exchange. Hi. 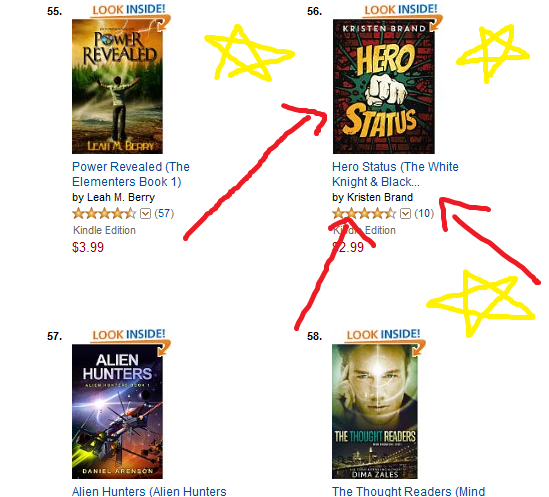 I’m speculative fiction author Kristen Brand. If you’re looking for a good book in the sci-fi/fantasy genre, then you’re in the right place. My novels all have fast-paced action, witty banter, and at least a hint of romance. I’m a huge nerd, which comes through in my writing, and I love reading and talking about books, comics, and short stories. Check out my books page for a full list of all my novels. Or look at my web fiction for links to free stories you can read online. Posted on November 28, 2014 February 7, 2018 Categories NewsLeave a comment on Welcome!